Once more to Hollingworth Lake in Littleborough to find this palatial but ramshackled house, which has sat abandoned with faded newspapers covering its windows and its timber frame rotting away for as long as I can remember (I won’t say how long that is as it’ll give away my age)! I know where that is Splosher, what a shame, it’s in a perfect setting too. I think it’s still owned, probably someone’s second home in the sticks, some people have too much money! How’s it going and where have you been hiding?!?!? Our Gaz said you’ve both been looking at fishing places. 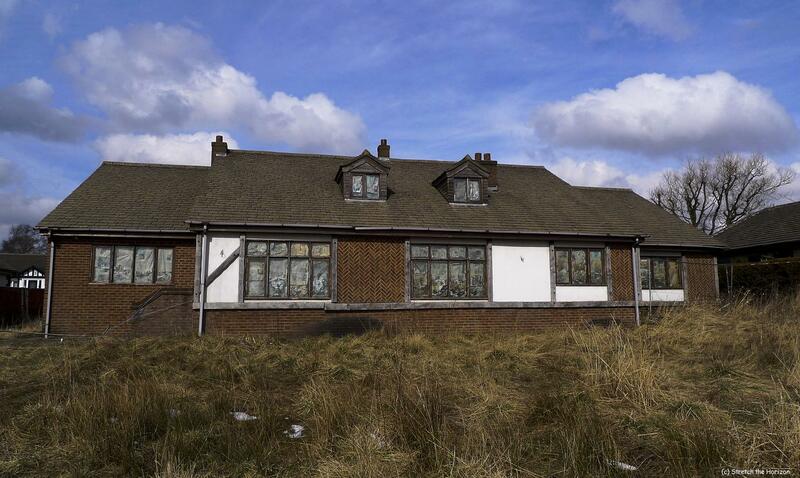 I think what happened with the house was that there wasn’t any planning permission, hence the reason it’s stood empty; another rumour was that no-one was left alive in the family tree to take it over so the house just keeps rotting away. Who Knows what’s really true, eh…? Hi Slosher, yes we’ve been out for a nosey in Derbyshire, really nice over there. The Dove looks amazing. Found an interesting lake too that looks neglected and underfished. Might have a go on there at the start of the season. I remember looking at that house and thinking what a shame. Got a friend that lives in SmithyBridge and he said it’s been stood like that for years! Hello Tina, if I could trouble you please I’m making contact with me, I would like to speak with you further with regards the empty property ?